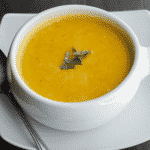 With just a few simple ingredients, you can enjoy this creamy Carrot & Sage Soup in about an hour. The color is perfect for Fall holiday entertaining as well. Do you eat in courses during your holiday meals? We certainly do! Mostly our day consists of the following courses: appetizers, soup or pasta, salad, main meal; then dessert and coffee. I say soup or pasta because we very rarely serve both; it’s usually either one or the other. For Thanksgiving, I like to stick with something orange in color…you know, just to be festive. In previous years, I’ve made Ravioli with Pumpkin Cream Sauce and Cream of Sweet Potato Soup. This year, I whipped up some Carrot & Sage Soup. It was so creamy and delicious and would make a perfect starter to your holiday meal. This is a nice soup that can be made up to two days ahead of time; then reheated before you’re ready to serve. I also like to chop up a little extra fresh sage to put on top right before serving. ~Enjoy! 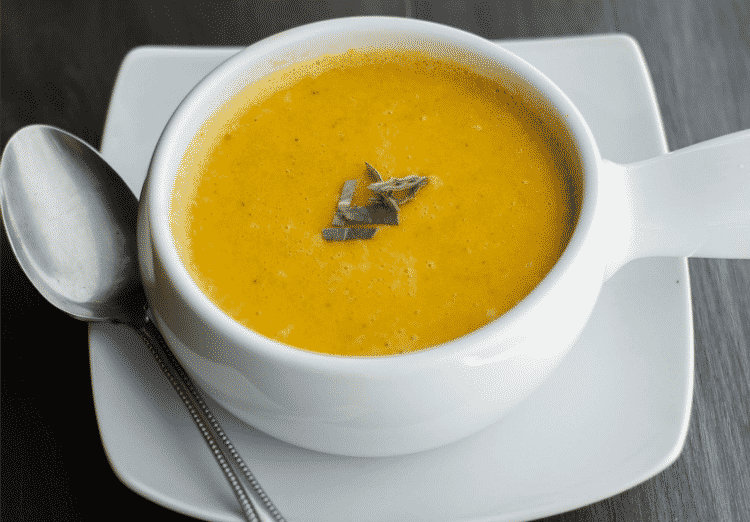 With just a few simple ingredients, you can enjoy this creamy Carrot & Sage Soup in about an hour. The color is perfect for holiday entertaining as well. Heat the oil in a medium saucepan and add the carrots, onion and sage. Saute for 2 minutes over medium heat then stir in the flour. Gradually whisk in the vegetable broth, dissolving the flour; then add the water. Bring to a boil then reduce the heat to a simmer. Simmer for 1 hour or until carrots are tender. In a small saucepan, heat the milk over high heat to temper it. (You don't want to boil it, just make it hot). Add the milk to the soup, mix well and turn off the heat. Use your immersion blender or regular blender to blend all of the ingredients together until the mixture is smooth. 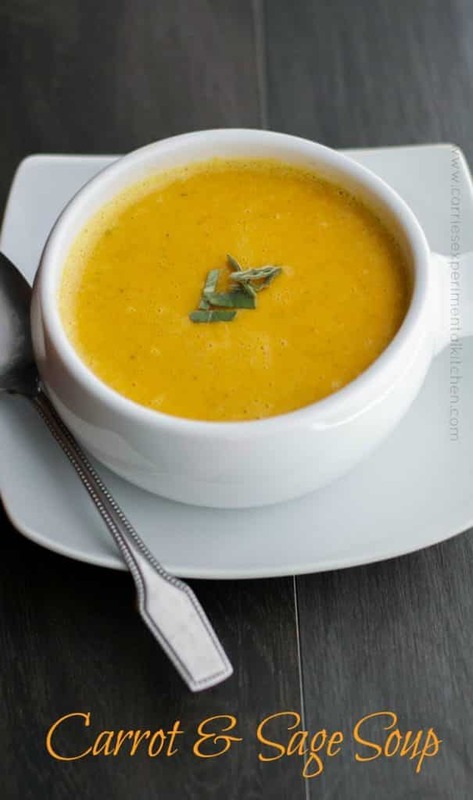 I’ve been getting the sweetest carrots in our CSA farm share, and they would be wonderful in this soup. 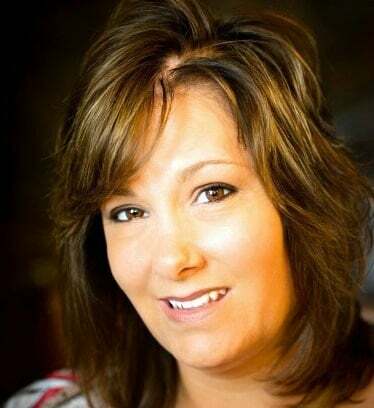 Glad you like it Kirsten~Enjoy! Can you make these soups with coconut or almond milk? I haven’t tried using either of those two ingredients myself, but I don’t see why you couldn’t. The flour in the soup actually thickens it, where the milk just makes it a bit creamier. It may give it a slightly different flavor, but they both should work or you can leave out the milk altogether. Let me know if you decide to try it, I’d love to know how it turns out!